Art of Flavors is a must try dessert place in Las Vegas! 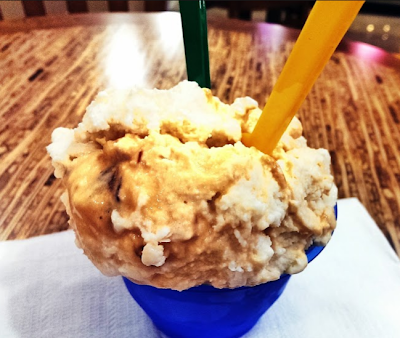 They specialize in making gelato and only import Italian ingredients using local dairy products. Every time I visit there's a new flavor! I'm never disappointed with any flavor I try. Also, the owner is nice to talk to, she explains about the gelato quite well and how she comes up with the flavors. She encourages customers to sample as much gelato as possible! 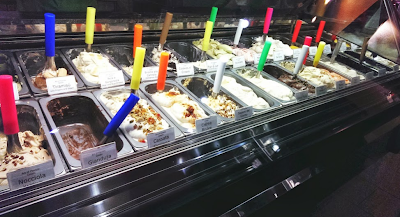 Interesting flavors include: Blueberry Pancake with Maple Syrup and Dried Blueberries, Almond Turrone, Panettone, Italian Donuts, Avocado, Sweet Corn, Peanut Butter, Cookies and Cream, Chocolate, Peppermint, Chocolate Mint, Fior di latte, and Hazelnut.